The elements of all forms of art and design can be boiled down to its basic elements: line, color, shadow, space, texture. Given this, the distinguishing factor of cutting-edge art is to take any of these elements and push them to their limit, including or excluding the rest. Suppose you got ride of color. What do you get with a versatile imagination? 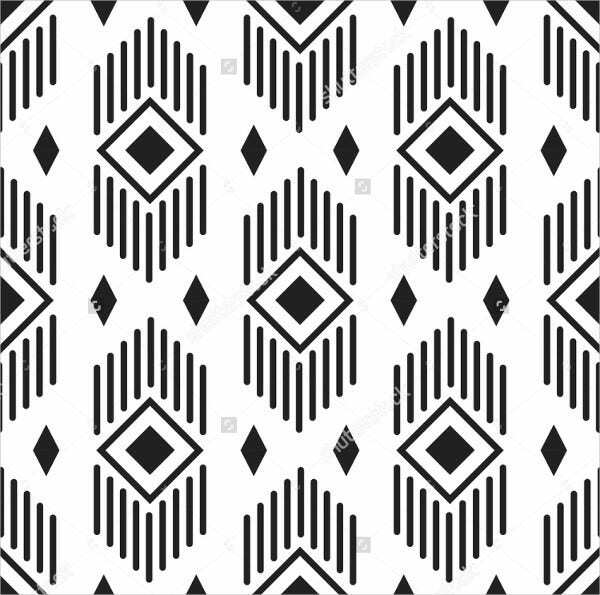 These black and white patterns will show you just what is possible with the most spartan of palettes.Use this collection as a feast of inspiration or go ahead and click on the Download button to see how you can acquire these astonishing designs for your own projects. They say simplicity is sophistication. They also say creativity is in doing more with less and in bending something unassuming until it produces mind-bending results. 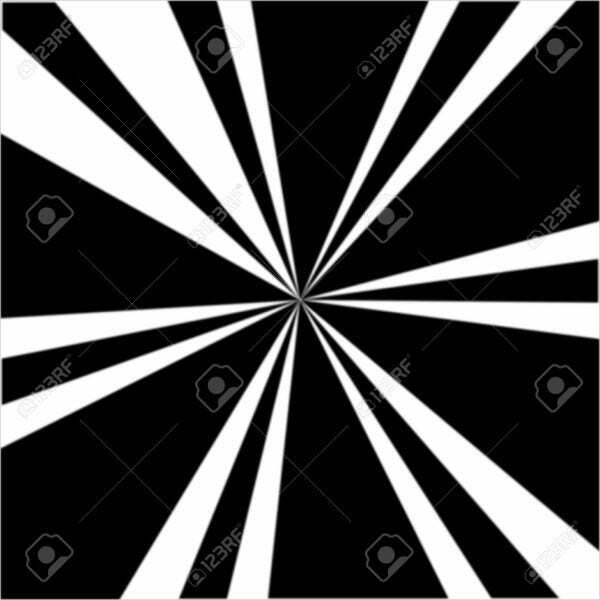 Artists and designers of all stripes have been known to use nothing more on their palette but white patterns on black backgrounds and have successfully based their whole artistic career on this theme. And it is a theme that allows for every sort of aesthetic and inclination. A fan of geometry and symmetry? 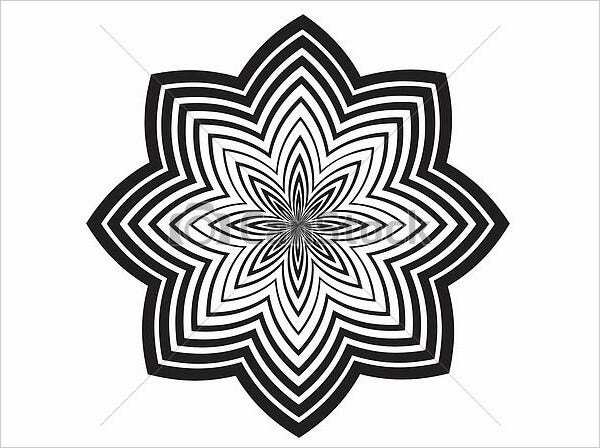 The Abstract Black and White Design and the Vector Black and White Design will surely appeal to you. Want unconventional wallpaper with an eye-popping, modern look? The Black and White Pattern Design is worth your money. Enhance the simple but profound beauty of ordinary objects by using clean and flowing black lines. 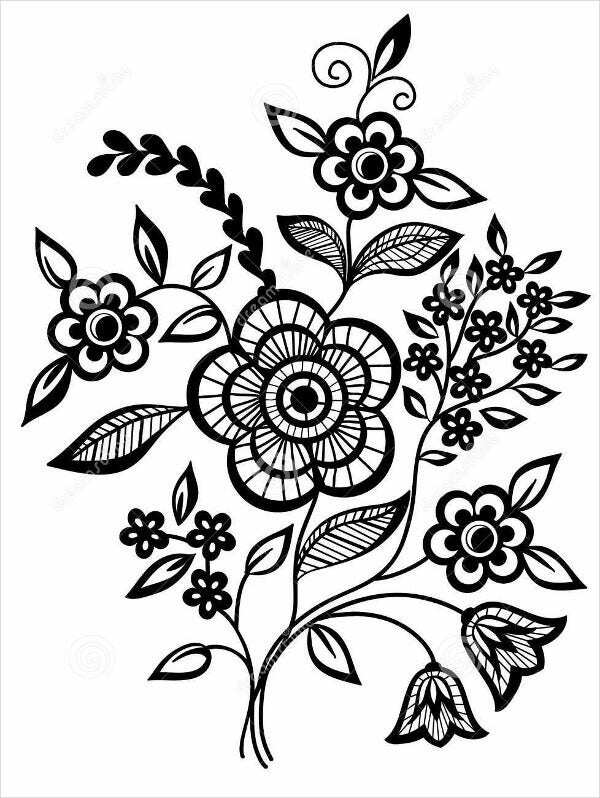 The Black and White Tattoo Design is a sublime example. 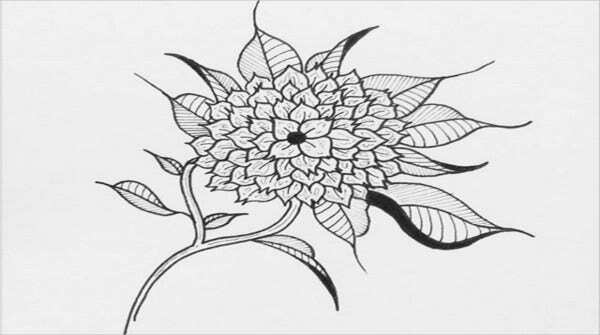 Also see Black and White Flower Design for a similar but more traditional effect. 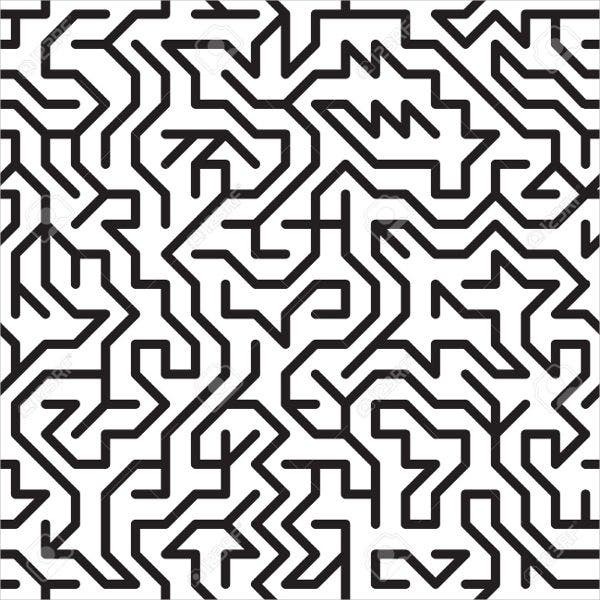 The Black and White Clip Art Design is something you can use as drop-caps for your typography, blog layout, or manuscript design. The starkness can also allow for a powerful statement. Combine with simple geometry for a classic look for your company logo that will last forever. Refer to Black and White Logo Design for example A of this concept. Have a postmodern bent? 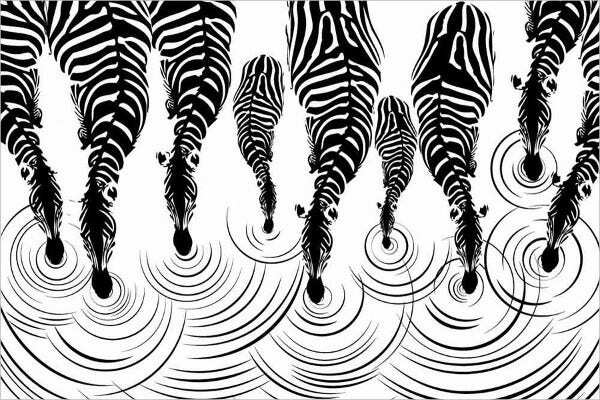 You can’t have black and white without the quintessential zebra pattern. The Black and White Wallpaper Design of drinking zebras is just one amazing offer from Walls and Murals for your interior designs. Impressed? It’s hard not to be. See how you can acquire these designs by clicking on the download buttons. You will be led straight to the affiliate host sites where you can learn about the different sizes and file formats that you can purchase these patterns in. Many of them are simply brilliant as wallpapers and concepts for interior decoration, but if your instinct says they would be perfect for something else—wrapping paper, fabric patterns, digital wallpaper, banner pieces, etc.—by all means follow where it leads. Almost all of these designs are up for sale at bargain prices, depending on the size and format presets you select. These are premium resources that can be used for all sorts of projects if you let your creative instinct guide you. That said, the Black and White Clip Art Design is free, offering various letters of the alphabet as separate downloads from ClipartFest.com, which stocks other great black and white paintings. Also note that any downloads offered on affiliate sites will require you to register for a free account, if you don’t already have one.